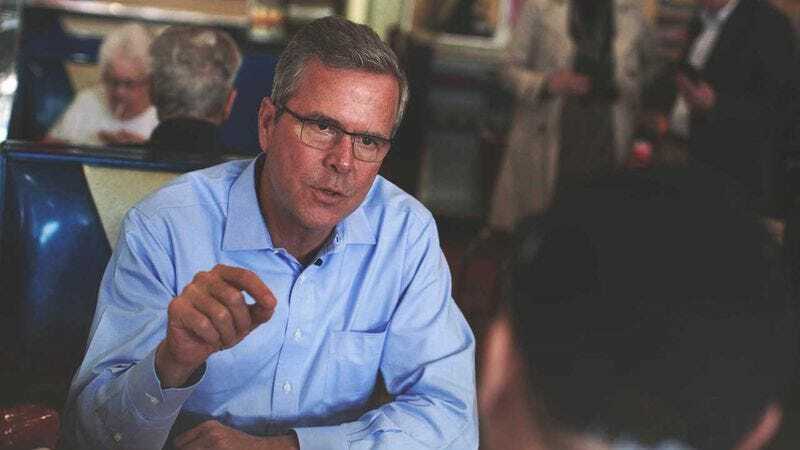 Jeb Bush is the type of guy who wouldn't let Hans Gruber anywhere near Nakatomi Plaza. Political candidates rely on their official websites as places where they can own the message and engage potential supporters. If so, then what should we make of Jeb Bush’s “All in for Jeb” presidential campaign website containing a summary of the entire Die Hard franchise? Yes, the summary was embedded deep in the source code, and it’s since been taken down, but does that make matters better or worse? Why, exactly, was Bush hiding his affection for John McClane, rather than openly celebrating the NYPD’s most resourceful and wisecracking officer? It seems like the type of culturally relevant, humanizing content that belongs in the “About Jeb” section. One could argue that the summaries were hidden so as to not spoil the movies, but why would Bush even consider winning the votes of anyone un-American enough to boycott Die Hard? Nope. The only thing these subtitles clarified is that Bush would not be able to be impeached on grounds that he considers A Good Day To Die Hard a good movie. While there is a rich tradition of coders hiding jokes and inside references into source code, and the Bush campaign will likely just attribute this to a web programmer with a sense of humor, we all know that’s just obfuscation. Don’t be distracted by propaganda inviting you to come out to the coast and have a few laughs. This blatant, poorly concealed summary finally exposes the damning truth: Jeb Bush is clearly in the Pocket of Big Die Hard.